1. Greenhouse maximizes the use of space. Greenhouses structure are made with u.v treated polyethylene that helps in providing warmth and screening harmful rays to reach the plants. 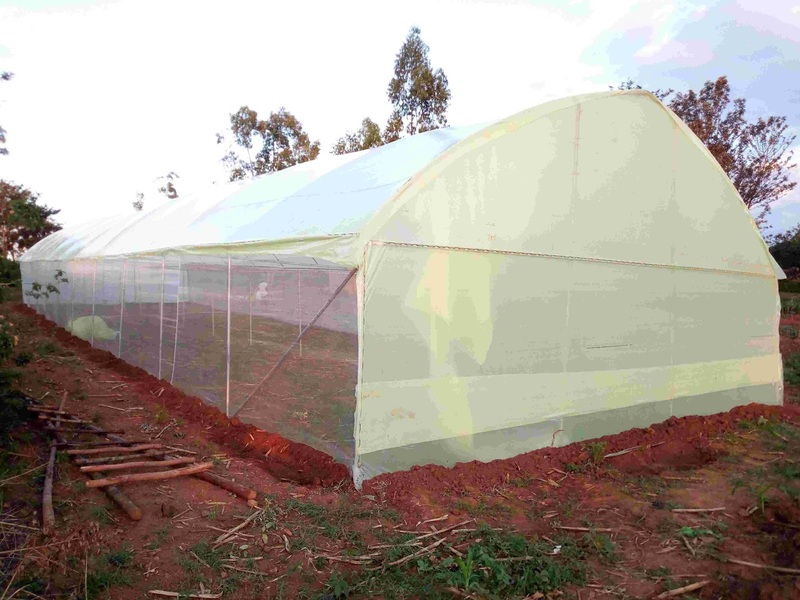 The greenhouse cover is made of three basic layers namely anti drip, U.V treatment, air space to help in holding or retaining the in absorbed heat ,this helps in creating a stable temperature within the greenhouse regardless of change in the external weather, anti fungal, uva, I.r among others. A greenhouse structure houses hybrid vegetable varieties that can be harvested for a long period of between 3 to 12 months and produce quality and vigorous growing vegetables. In Kenya we do have the best climate with stable agro productive environment along the equator. Greenhouse uses drip irrigation kit that has perforations at different spacing according to the vegetables spacing. This helps in reducing water wastage since each plant receives water at the exact spot for root absorption. It also saves in labor force since you only need one person to open the valve for drip system to function. Drip system also helps in controlling weeds due to its spot watering that control widespread watering favorable for weed growth. Greenhouse plants are bred to produce the best quality in terms of taste , vigor, extended harvesting period, size, nutrition, color and post harvest longevity. Outdoor plants harvesting period is short, most have weak rind and do have low shelf life after harvesting. 3. Plants that grow and are profitable in a greenhouse. Before planting any vegetables in a greenhouse you need to consider the availability of market, price of the vegetable, transport cost and shelf life. Here are some of the vegetables. Hortitechno provides the best greenhouse and agro consultancy services.